Here is a fact on the serious ailment of Obesity – 500 million people worldwide, or 1 out of every 10, is obese. USA is the obesity capital of the world where more than one-third of U.S. adults (35.7%) are obese. UK is not far behind with 25% and India with 5% of population suffering from obesity. The most important treatment regime followed globally for obesity is to keep weight under control, follow adequate eating habits and exercise regularly. Digest another fact – In 2012, 6 billion people were reported mobile subscribers and 85 billion mobile apps were downloaded; a 123% increase from the previous year. Keeping this trend in mind, there had been a surge of smartphones apps that has made easier to track your exercise regime and diet. Lose It, My Fitness Pal, Nike Training Club etc. are few noted ones which allow the users to track their weight, workout history and training progress. Following the suit, researchers at the University of Leeds have developed a path-breaking smartphone app, My Meal Mate, which enables users to not only monitor their food intake and exercise plan but also set a weight loss target to them along with sending a weekly update on progress via text message. It is the first app to contain a large UK-based food database unlike the other previous apps. This allows users to map their eating habits easily to the products they consume. It can be even used by non-obese people to keep a check on their weight and be healthy. My Meal Mate was put to a trial against similar products such as an on-line food diary and the traditional paper version on 128 overweight volunteers. The smartphone app was used for every day of the trial whereas the average use of website and paper diary was about once a week. This 6 month trial reflected a favorable result for the smartphone app with an average of 4.6 kg loss of weight in people using this app. On the other hand, people using paper diary and website lost 2.9 kg and 1.3 kg respectively. The power of technology and mobile in providing easy access of quality healthcare to people cannot be debated. So, just download this wonderful app and start losing! This can be downloaded free from Google Play. 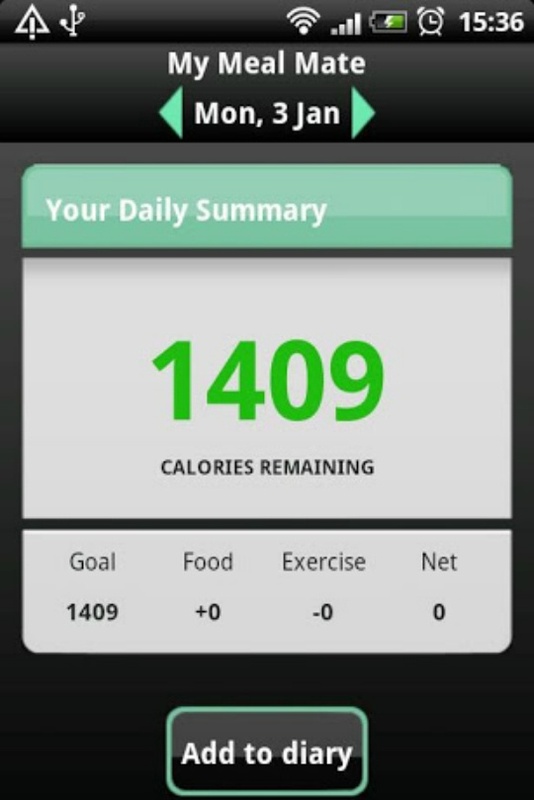 Hi Sumeet Brilliant post, you might want to check out this Android application called Food Habits. I use that application and it is an awsome tool which has most Indian dishes. Thanks Dr. Vikram. Food habits seems to be a very good app as well. It evens works offline and contains curated data from USDA. With emergence of mobile technology more and more such wonderfuls apps are coming into the market and I am sure new improved ones will make our lives much easier in coming times. We are loving this problem of plenty. Hi Yogesh..Thanks for the appreciation..Do let me know when you try these out.